You’ll elicit cheers when you break out these personalized glasses! 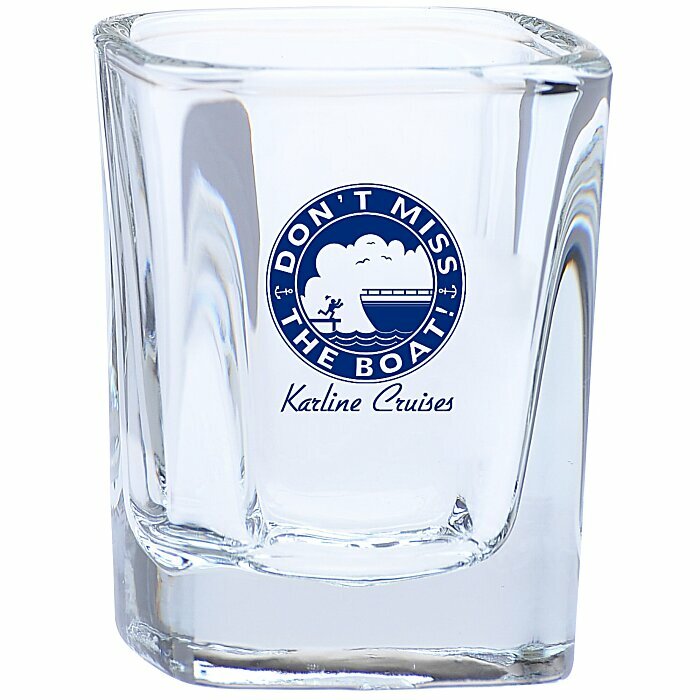 Stock your bar or catering business with a full supply of personalized shot glasses. The square shape and thick, solid base give your logo long-term appeal. Pick your poison and throw one back at your next celebration, banquet, holiday party, grand opening or other event. These also serve well as souvenirs or collectibles at tourist attractions. Your price includes a one-color imprint on the front of the glass. * Excludes art preparation time, applies only to orders of 576 items or fewer.